The varsity/JV football team will scrimmage Elkhart Central on Friday, August 12 at Andrews Field beginning at 6:00 p.m. There will be a $5 entry fee for this event with all proceeds being donated to the Indiana Football Hall of Fame. Panthers News · Jul 29 Deadline for All-Sports Tickets is Monday, August 1st! All-Sports Ticket Applications are due in the Athletic Office by Monday, August 1st. The results from the Ticket Draw will be posted on Wednesday, August 3rd. Panthers News · Jul 27 Wakarusa Ice Cream Social! The annual Wakarusa Ice Cream Social will take place on Friday, August 5th @ 7:30 p.m. in downtown Wakarusa. This is sponsored by Wakarusa Chamber of Commerce and Dr. Robert Abel. The unveiling of the 2016 NorthWood Football T-Shirt will take place as well. 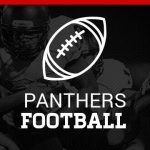 Panthers News · Jul 27 Mandatory Athletic Meeting! The annual NW Athletic/Parent Meeting will take place on Wednesday, August 3 @ 6:00 p.m. in the auditorium. This will be a important meeting for all parents to attend. Athletes are welcome to attend as well. There will be several new items to discuss so please make plans to attend if at all possible.